Babies grow up so fast and leave a lot of newborn and other small onesies and baby clothes behind.Especially for the first one, we got new baby clothes ever since baby shower, and some of them are totally new without wearing once! We share some of them with friends, but some are out of style, some are worn once or twice, and my gals just want to keep some of their favorites!! I have shared many ways to refashion old clothes. 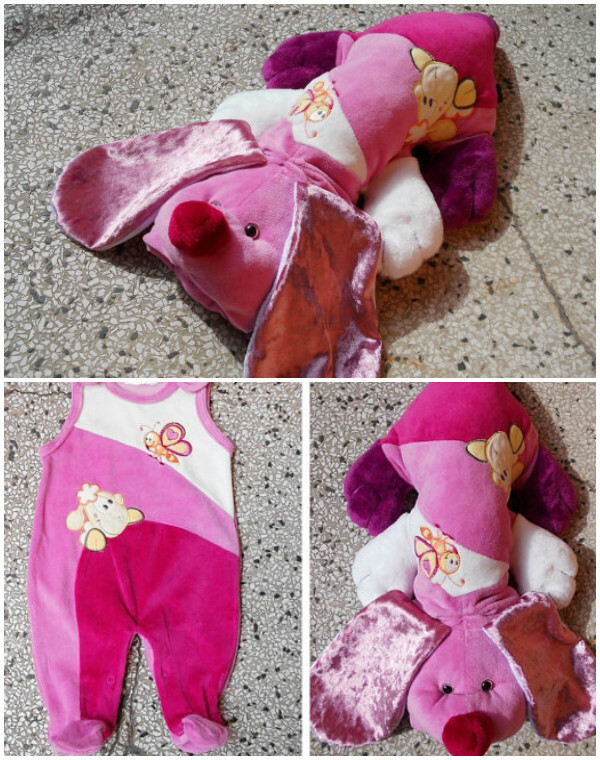 But when your child grows out of that adorable pair of pajamas or seriously cute onesie, there isn’t much you can do with them besides keep them in a box along with their baby books and old toys until now. I never thought that with some sewing time that I can turn simple onesie or baby outfit into amazing memory my kids and I can hang out with. 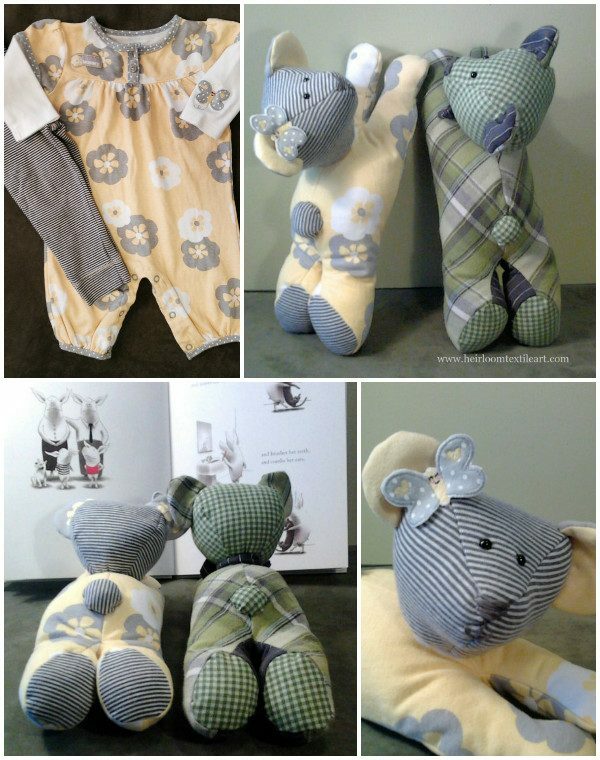 We can get old onesies made into handcrafted plush toys that our child can enjoy for a lifetime! 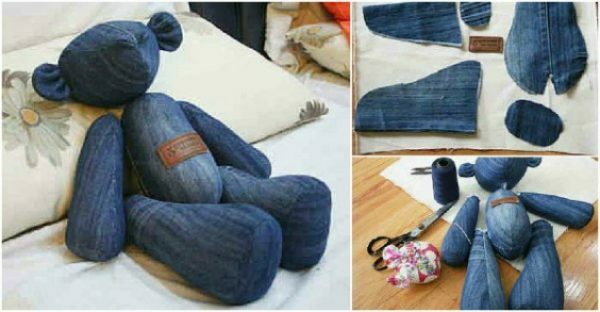 This cute repurpose idea will show you you that you can turn your baby’s onesies into stuffed teddy bear animal toy. 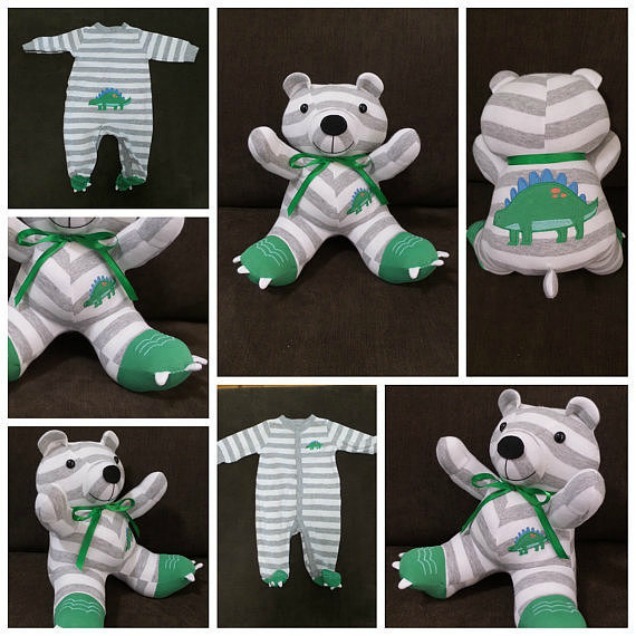 The Etsy shop called ImaginationAcresLLC, carries some cute toys made out of onesies that you can buy directly or customize your own. It is inspirational enough for you to sew yourself! 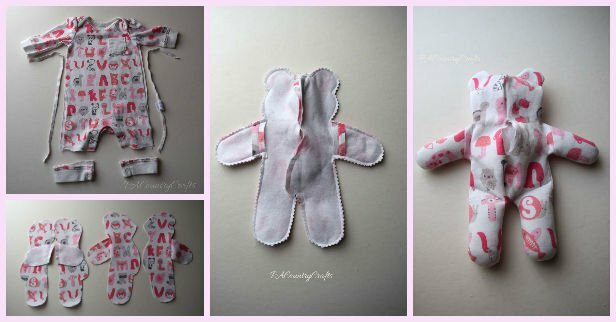 Or if you feel like crafty to sew your own, you can get free pattern and tutorial here to create one by yourself. 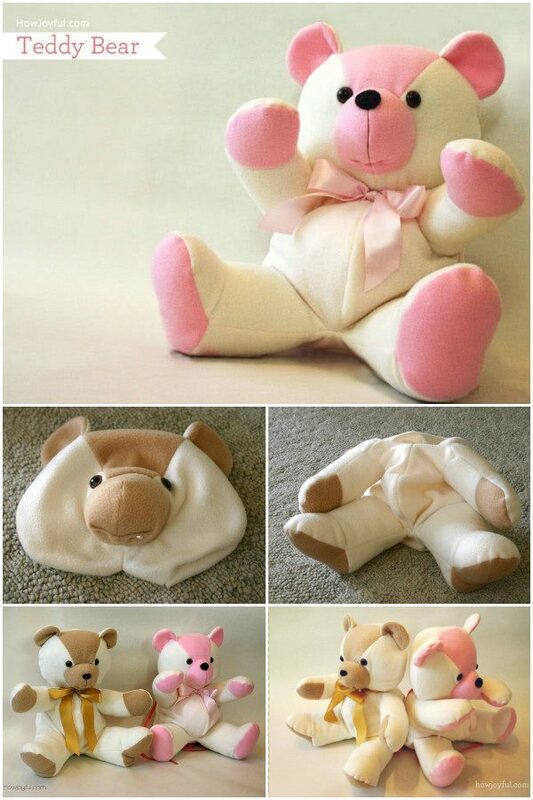 And don’t stop at here, you can sew whatever toy, or pillow instead of your growing kids such as this dog, fun and gorgeous crafty projects for you, your kids and even grandparents, too.